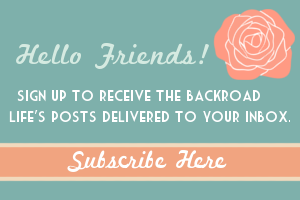 It's time again for another Rumford Complete Cookbook Recipe! Looking through the cookbook this month, I was looking for a recipe that I could use some fall produce that we grow. I found the Hashed Turnips recipe. I am a new fan of turnips, only first trying them a few years ago. We have grown them for several years and sell at our local farmers market, but I had never tried them. 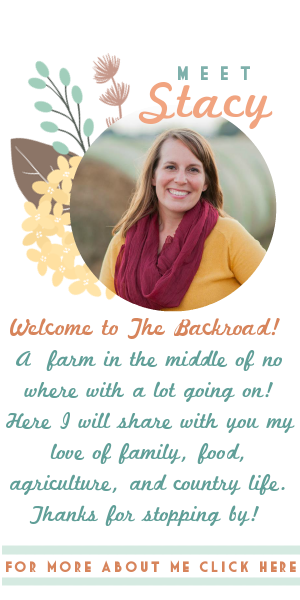 So a few years ago when we were picking for our farmers market, I tried one. Fresh right out of the garden. To my surprise they are so good!! I think of them as a mix of kohlrabi, radish, and cabbage flavors all mixed together in one!! And so tasty raw! We just slice them up and eat them raw. 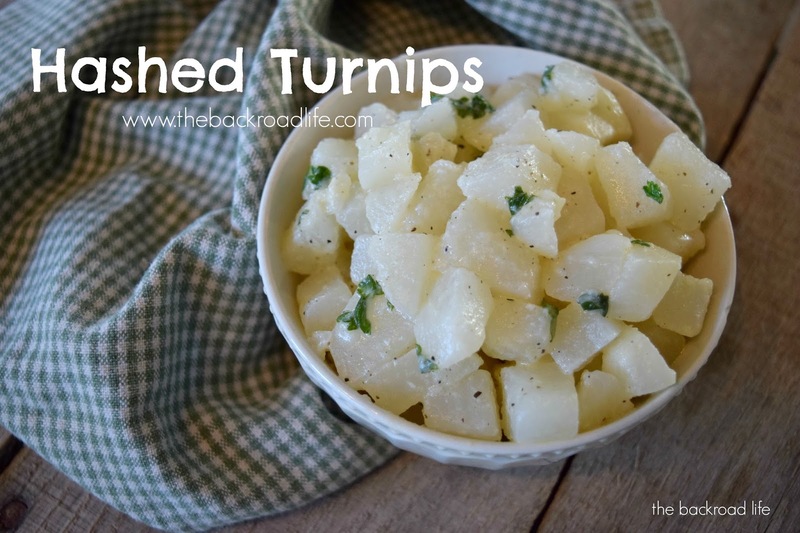 So when I saw this Hashed Turnips recipe, I was excited to try something new with them. And it is SO delicious!! Next time making though, I will cut the salt in half just to suit my liking better. My turnips also were not large size, like they can grow to get, so I used 2 medium ones. I also used a purple top turnip, as that is what we grow. 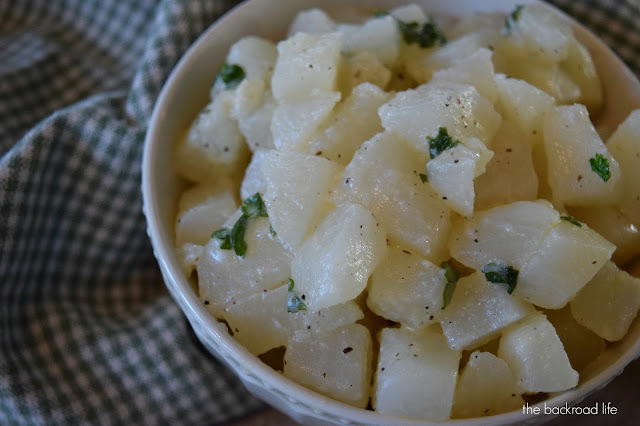 The Hashed Turnips recipe is on page 70 in the Rumford Complete Cookbook. Below is a photo of the recipe. Here is my version with some updates. 1 large turnip or 2 medium - about 3 cups cubed turnips. 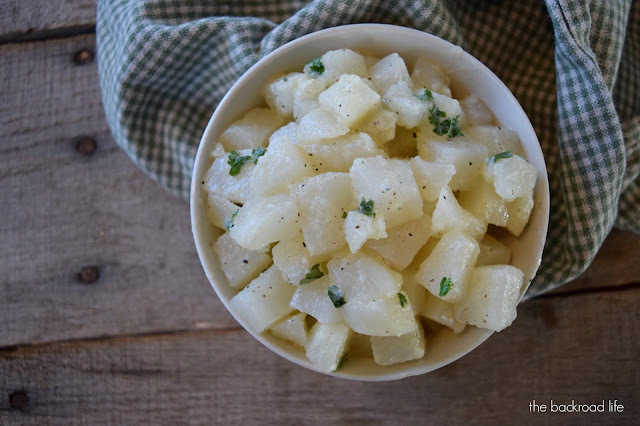 Peel the turnips and slice thickly and then cut into small cubes. Cook them in boiling water until tender. Drain the water and return the turnip cubes back to the pan. Add the remaining ingredients; the butter, salt, pepper, parsley, and cream. Mix and bring to a boil. Serve. These were delicious! I love how the flavors come together. 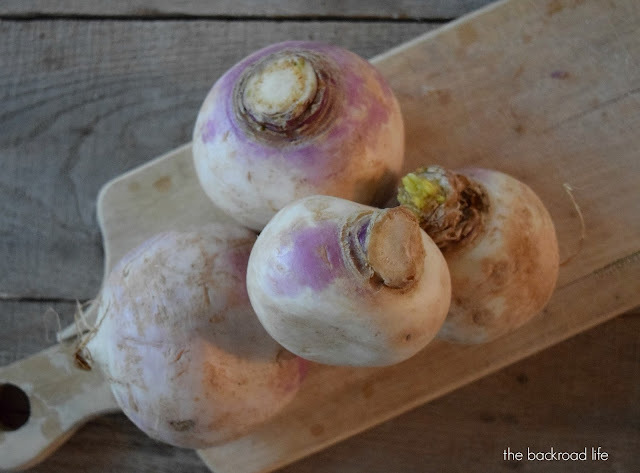 A great way to enjoy turnips, I'm looking forward to continuing to make!